The St. Catharines Museum is excited to have our next aMUSE event popping up at the St. Catharines Farmers Market on Saturday, July 16th. We love the energy and the atmosphere of the market and our downtown and we can’t wait to be a part of it! This edition of our aMUSE pop-up museum experience will be centred around the following question: what does downtown St. Catharines mean to our community? When we walk along St. Paul Street or head to the St. Catharines Farmers’ Market on a Saturday morning, we rarely think of the history that saturates these spaces. It’s a history of everyday life, and we find something about this ordinariness fascinating. A female pedestrian walking along a downtown St. Catharines street. Date unknown. (St. Catharines Museum, T2005.24.112). Imagine the downtown St. Catharines you are familiar with. Imagine the colourful storefronts. Imagine your favourite place to get coffee, or your most reliable spot to meet friends. This is your downtown. It means something to you. You can recall memories, and retell stories. Now imagine the generations before you who also had a same familiarity with the downtown St. Catharines they knew. 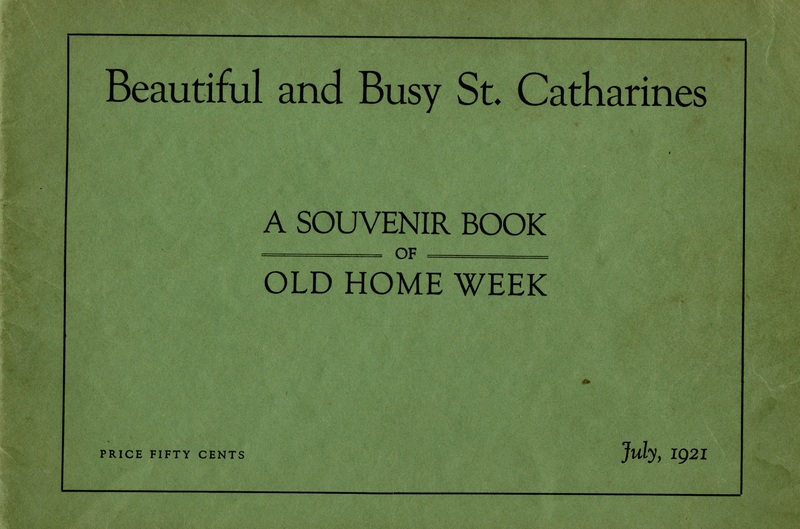 1921 view-book of St. Catharines published for the city’s Old Home Week. A copy of the view-book will be available to look through at our aMUSE event this Saturday, July 16th. (St. Catharines Museum, 2012.28.4A). When researching and working with the St. Catharines Museum collection for this next aMUSE exhibit, we found a 1921 souvenir book entitled “Beautiful and Busy St. Catharines.” It is a flip book published for the city’s Old Home Reunion and showcases photographs of different sites throughout downtown thought to be emblematic of the character of St. Catharines. These were sites members of the community found pride in. These were the sites the community was familiar with, that were a part of their everyday life. 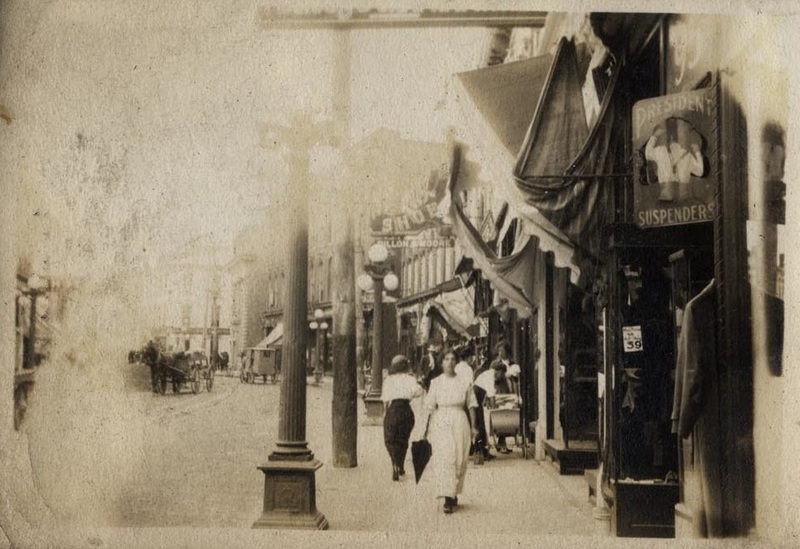 Our aMUSE at the Market pop-up exhibit will be exploring facets of daily life in downtown St. Catharines over time. We’ll look at how the community came together in downtown to celebrate, to commemorate, and to just carry out their ordinary lives. 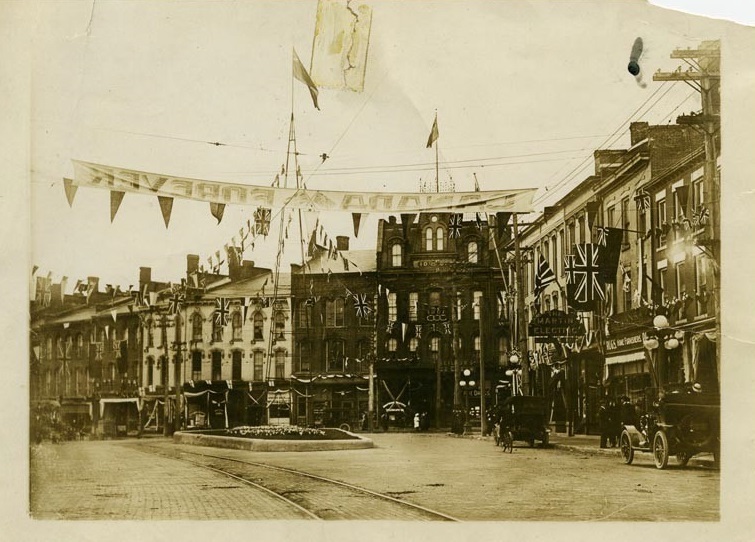 Below are a few images of downtown St. Catharines that we weren’t able to fit into our exhibit on Saturday. As you view them, and as you explore the full aMUSE exhibit this Saturday, we ask you to reflect on what everyday life may have meant to the earlier generations of the St. Catharines community. 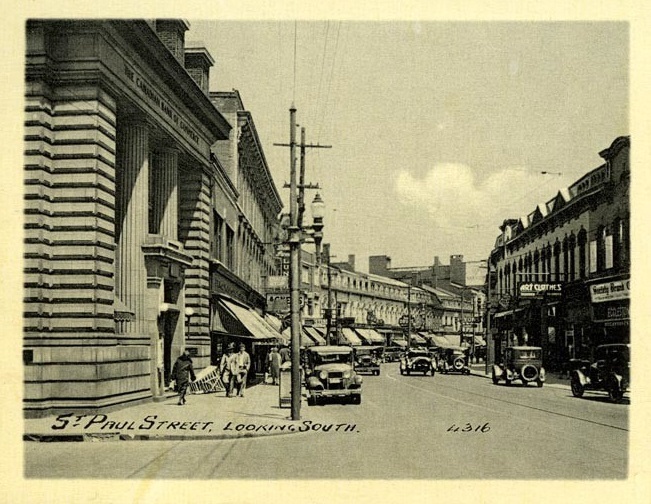 What did downtown mean to the people of the past? What will it mean in the future? 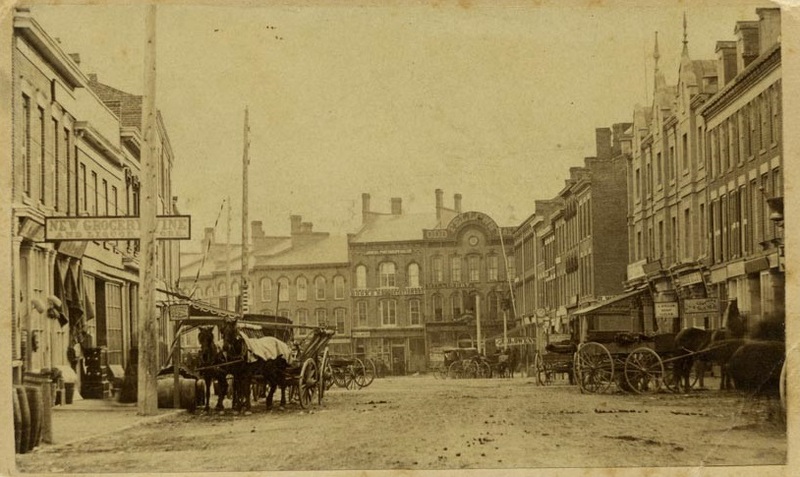 Corner of St. Paul and Ontario Streets, c. 1900. You can see Odd Fellow Hall in the background ( St. Catharines Museum, 1975.177.4). View from a bustling St. Paul Street, looking south. Date unknown (St. Catharines Museum, 2006.77.120). 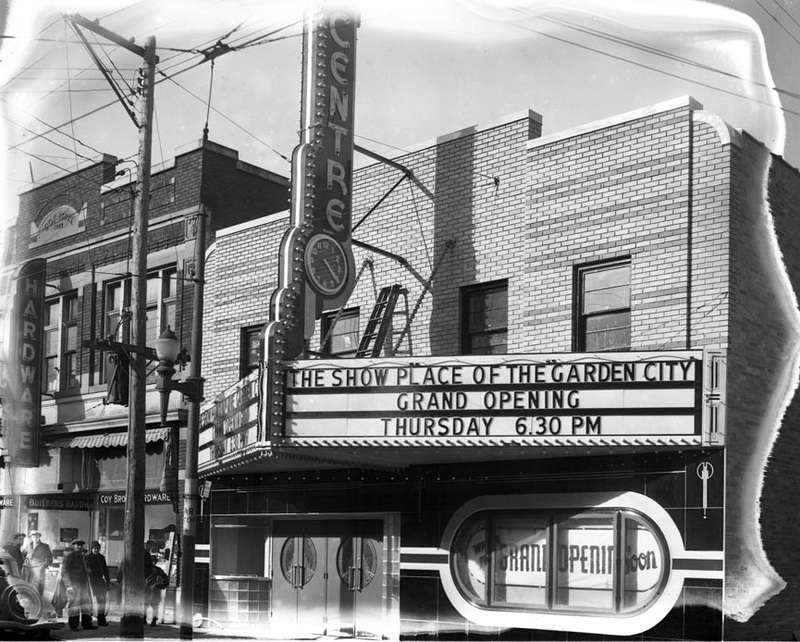 Centre Theatre just before it’s grand opening, 1940. Do you remember catching a show here? (St. Catharines Museum, S1940.4.4.1). Row of buildings in downtown St. Catharines with banner reading “Canada Forever”. It’s believed to be for the visit of the Duke of Connaught in 1914 (St. Catharines Museum, 1975.90.2A). 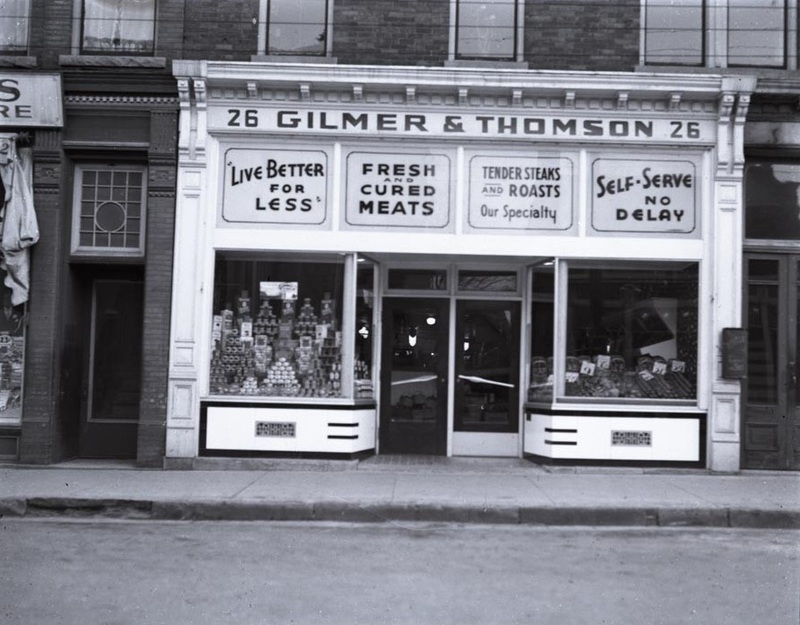 Storefront of the Gilmer a Thomson store at 26 Queen Street in 1937 (St. Catharines Museum, S1937.1.2.1). Sara Nixon is a Public Programmer at the St. Catharines Museum and Welland Canal Centre. Previous We Have Two PokemonGo Gyms, and other helpful PokemonGo/Museum tips.